A IVPT Propjet crashed when the pilot lost control after a landing gear malfunction—there were three fatalities. Post-accident investigation revealed the hydraulic reservoir was nearly empty. The pilot had been troubleshooting landing gear issues prior to the accident. Other sources indicate the aircraft had not received a condition inspection in approximately five years. Three aircraft had in-flight fires last year with two fatalities and one serious injury. A Legacy owner set off from Washington State to AirVenture with a known oil leak; the engine failed over Montana. In some of these cases, the owner/pilot operated their aircraft with known deficiencies that compromised safety. In other cases, poor maintenance practices by owners and shops resulted in mechanical failures and accidents. It is incumbent on the aircraft owner to maintain their aircraft to the highest airworthiness standards. The Federal Aviation Regulations (Title 14 of the Code of Federal Regulations—typically referred to as 14 CFR) assign responsibility for the care and maintenance of an aircraft to its owner(s) and operator(s) under Part 91 and other guidance documents. So, even though maintenance requirements under Part 43 do not explicitly apply to EAB aircraft, the requirements mandated by other Parts of 14 CFR do. The bottom line is that EAB aircraft owners/operators are responsible for maintaining their aircraft according to detailed, specified rules. And their responsibility doesn’t end there. Part 91.417 requires a log documenting all maintenance, including preventive maintenance, alteration, overhauls, compliance with airworthiness directives and records of required or approved inspections, as appropriate, for each aircraft, engine and propeller, and 91.407 states you may not operate the aircraft until all required entries in the log have been recorded. It is the owner/operator’s responsibility to ensure that the aircraft records are maintained in accordance with these regulations, and there are no exceptions for EAB aircraft. It is important that any shop performing maintenance on your aircraft provide you with a logbook entry detailing the work performed, and a legible signature of the person who performed the maintenance, even for something as simple an oil change. All of these endorsements should be signed and dated by the inspector. The altimeter check should also be accompanied by a test card for inclusion in your logbook. Click here to read maintenance records requirements under FAR 91.417. During training pilots learn about the aircraft including systems, components and maintenance. 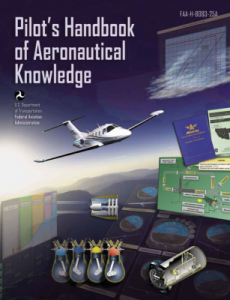 FAA and industry documents such as the Pilot’s Handbook of Aeronautical Knowledge are used to teach pilots about the various systems and components of the airplane. In addition, aircraft operating handbooks outline information specific to an aircraft and its systems. A pilot is responsible for knowing the systems and components of an aircraft and how they work under normal, abnormal, and emergency conditions according to the Pilot’s Operating Handbook (POH). Pilots are evaluated on this knowledge by written test, and according to criteria found in the FAA pilot Practical Test Standard (PTS) during their flight examination. A thorough knowledge of aircraft systems and components helps pilots understand their importance for safe flight, and aids in determining the airworthiness of the aircraft. §91.7 Civil aircraft airworthiness. (a) No person may operate a civil aircraft unless it is in an airworthy condition. (b) The pilot in command of a civil aircraft is responsible for determining whether that aircraft is in condition for safe flight. The pilot in command shall discontinue the flight when unairworthy mechanical, electrical, or structural conditions occur. Having a current Airworthiness Certificate and a Certificate of Aircraft Registration in the aircraft. Maintaining the aircraft in an airworthy condition, including compliance with all applicable ADs, and assuring that maintenance is properly recorded. Keeping abreast of current regulations concerning the operation and maintenance of the aircraft. Having a current Federal Communications Commission (FCC) radio station license if equipped with radios, including emergency locator transmitter (ELT), if operated outside of the United States. AD’s are regulations issued under Part 39. Therefore, no person may operate a product to which an AD applies, except in accordance with the requirements of that AD. Owners and operators should understand that to ‘operate’ not only means piloting the aircraft, but also causing or authorizing the product to be used for the purpose of air navigation, with or without the right of legal control as owner, lessee, or otherwise. (FAA Advisory Circular 39-7D pg. 4). AD’s are not normally issued against non-certified aeronautical products, however one should consider whether or not an AD issued against your experimental engine, avionics or other product should be incorporated. The FAA has recently stretched its interpretation of the applicability of AD’s to non-TC’d aircraft (read experimental amateur built aircraft) in AC 39-7D at page 4. If you hire a shop to conduct the condition inspection you should sit down with the inspector and go over the details of the work, including the logbook entries. Don’t just blast into the shop, pay the bill, kick the tires and takeoff. You should ask to see the checklist used to conduct the inspection. It should be filled out in detail indicating the status of the inspected items, like the engine cylinder compression, service bulletin status and compliance, etc. I recently sat down with an owner who brought his Lancair here for training. He thought his aircraft was legal because a mechanic had recently completed a condition inspection following extensive maintenance. We discovered the cylinders were off the airplane for overhaul at the time of the inspection, and the inspection checklist form had no entries for the engine compression (among other engine inspection details). So, despite a logbook entry indicating a completed condition inspection, it was clear the engine had not been inspected IAW Part 43 Appendix D. Further, the mechanic who reinstalled the cylinders did not follow the Continental maintenance manual requirements for reassembly, resulting in a fatigue crack in the exhaust system and an exhaust leak. The owner ended up with an expensive exhaust repair and a potentially hazardous situation. Another owner told me about his dissatisfaction with major work he’d had done at a respected shop. Upon inquiry and inspection, I discovered a plethora of problems with his aircraft including a serious fuel leak, pressurization problems, and serious damage done to the underside of the aircraft incident to removal of a belly scoop air conditioning system. Most of the issues were related to the air conditioning system removal and modification to an internally mounted system. While the shop clearly damaged the aircraft and did not perform maintenance to accepted standards, part of the problem stems from unrealistic expectations owners have with respect to how much time it may take to accomplish major work on their aircraft. Many owners, especially second owners not involved in construction, have unrealistic expectations of the time involved to complete major work. A modification such as the air conditioning relocation may take a good shop several weeks to accomplish properly. Set expectations with the shop manager early so everyone is on the same page with respect to what work needs to be done, what parts and material are required, how long the job will take, etc. Get updates regularly if it is a lengthy job. Even if you have been told the job is almost complete, remember, it’s not done ‘til it’s done! Showing up on the shop’s doorstep does no one any good when you are chomping at the bit to get out of the shop and the aircraft is not ready. I know it can be frustrating—but forecasting when a custom built aircraft will be out of the shop is a black art. They are finished when they are finished. And don’t forget, “finished” includes an entry in the maintenance log. 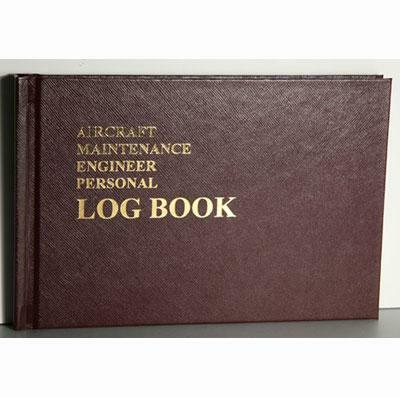 Speaking of aircraft logbooks, I am a fan of the adlog™ Aircraft Maintenance Record Keeping System. The key to any good maintenance program is keeping good, well-organized records. Poor organization was a contributing factor to the problems experienced by one owner mentioned earlier in this article; some of his maintenance records were in a small logbook, some were in envelopes and some in his wallet. Adlog is a 3-ring-binder-based system, with a separate section for airframe, engine, avionics, propeller, AD’s , service bulletins, etc. I've found it very easy to use and, most importantly, very well organized. The service even tracks ADs for you, sending you a copy of any that apply to your aircraft and/or its components. If you own and/or operate a Lancair its associated aircraft maintenance records are your responsibility. Aside from avoiding running afoul of the FARs, accurate and complete maintenance records are critical to operating your Lancair safely. Take the time to learn what should be in them, and make sure yours are up to snuff today. Contact Jeff at j.edwards [at] lancairowners.com for questions/comments on this post.